If you would like to contact Dan Salloum about buying or selling property in Calgary you can email using the form on this page or call directly for immediate assistance. Search Calgary Listings for Calgary homes for sale in your city, town or area. Narrow your search by neighbourhood or community. Search Calgary Listings for Calgary homes for sale in your city, town or area. Narrow your search by price range, home size, house style, home type and number of rooms. Have expert prepared reports on buying and selling Calgary real estate delivered for free right to your email inbox, including great tips, market information, and investing info. The Internet has changed how buyers and sellers approach the Calgary real estate market, and to ensure you have the best opportunity of selling your Calgary home. 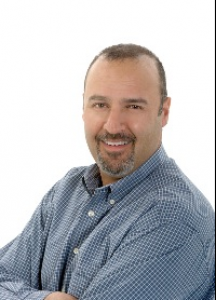 By choosing Dan Salloum to help you sell your Calgary home, you are gaining instant access to years of home marketing experience to help you in your Calgary home. Get new listing updates daily in your email inbox by entering your home preferences and prices into the form, and Dan Salloum will take care of the rest. Read some of what our best clients have to say about Dan Salloum's service during their time buying and selling Calgary real estate. Their positive feedback is a source of great pride.